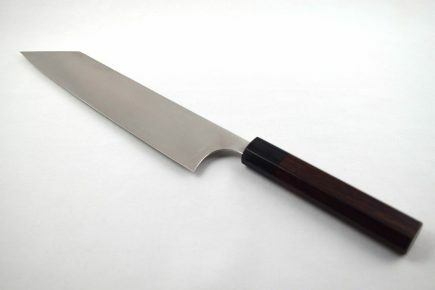 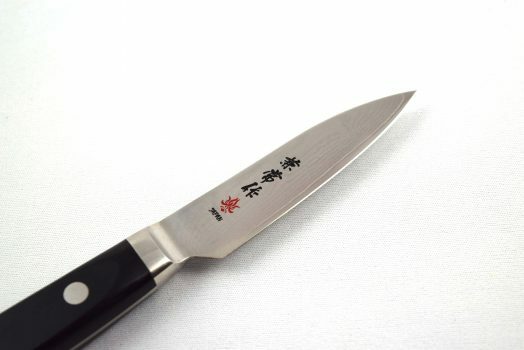 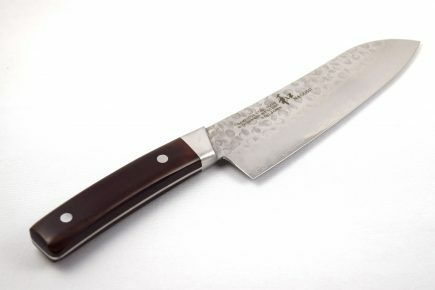 Kanetsune Damascus Paring knife with a 80mm blade. 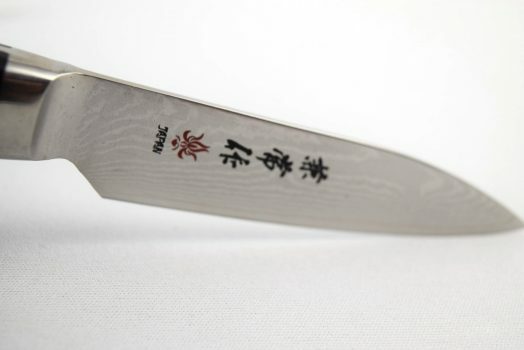 Beautiful damascus-clad blades made out of 33 layers stainless steel with a VG10 cutting core. 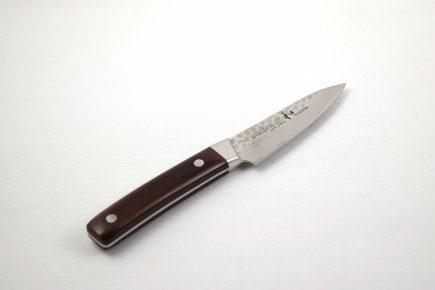 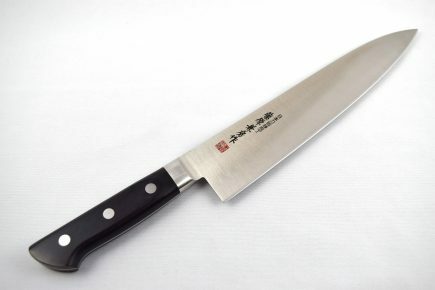 Plywood handle with a stainless steel bolster give a good grip and are very long lasting. 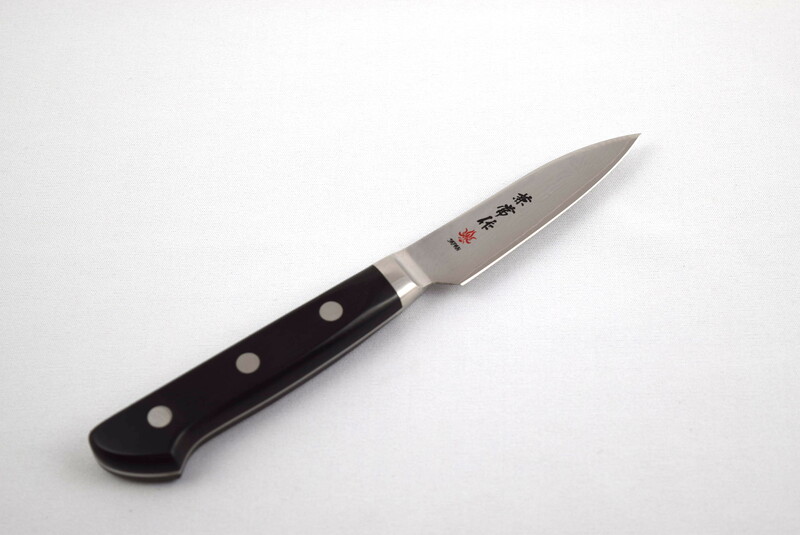 Made in Seki.